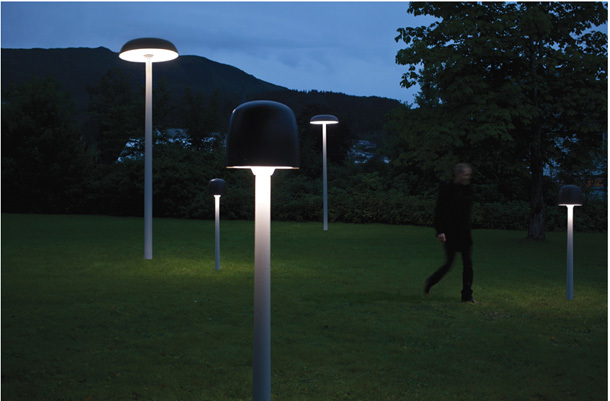 Shroom by Ralston & Bau is an outdoor light fixture and furniture series with an unique detecnon system that reacts to movement and ambient light. 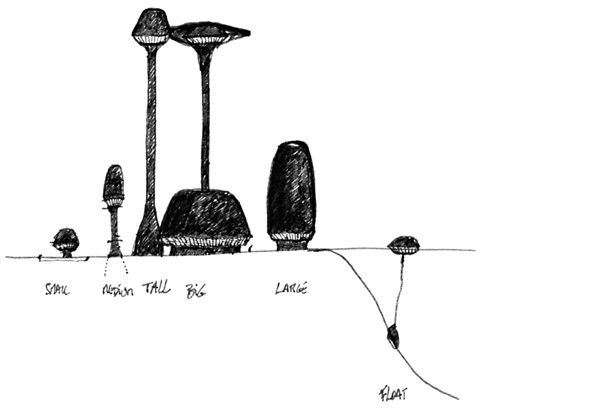 The light dims to a 10 per cent light strength, if nobody is in its proximity and when someone passes by, the Shroom smoothly brightens to full luminosity, lighting up the path. This is both energy-saving and avoiding unnecessary light pollution. 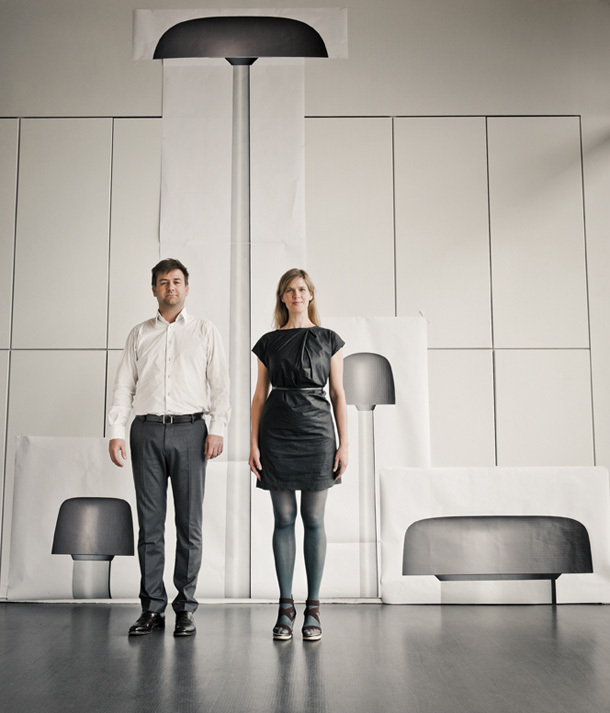 Made from linen fibres, a natural fibre bio-composite material, the light fixture series include a Giant street light, a Just bollard, a Big and Little seats, the result is a small forest of magic Shrooms. The idea behind the Shroom came from working with habitants in a Norwegian village and their memories related to physical places, says the designer Birgitta Ralston. We wanted to create a lighting adapted to the life and needs in Nordic citieses, close to nature and with long dark nights during the winter. The amazing light of stars and aurora borealis (Nordic lights) are affected by public lighting, therefore it made sense to make light fixtures that are fully lit only when needed, say the designer Alexandre Bau. Shroom is produced by SaintLuc.